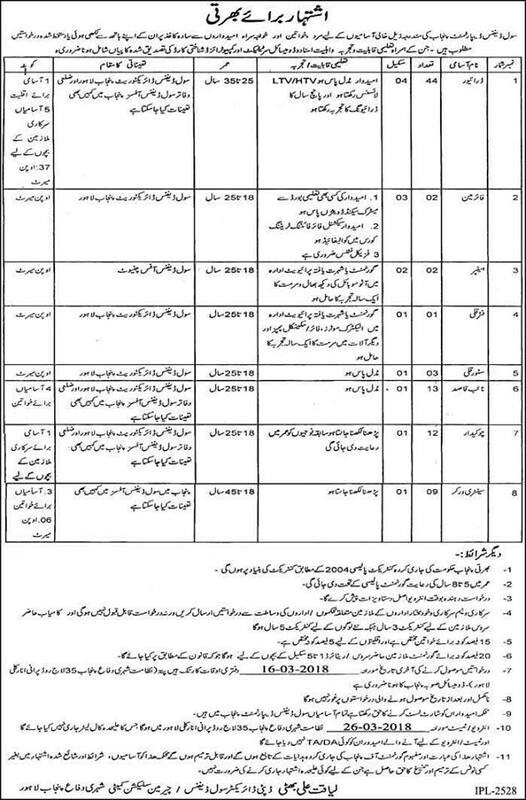 Govt of Punjab has announced various job opportunities in Civil Defence Punjab Jobs 2018. Available vacancies for Civil Defence is driver, fireman, Helper, Fitter Quali, Store Quali, Naib Qasid, Chowkidar & Sanitary worker. interested candidates may send their Applications/covering letter along with CV mentioning their full Name, Father Name, Domicile, Certificate, CNIC, Education, Experience, Mailing address, Mobile No. & Date of Birth with attachment of document at following address that given below in image.